This was featured as a nationally syndicated column with Gatehouse Media on March 6, 2019. 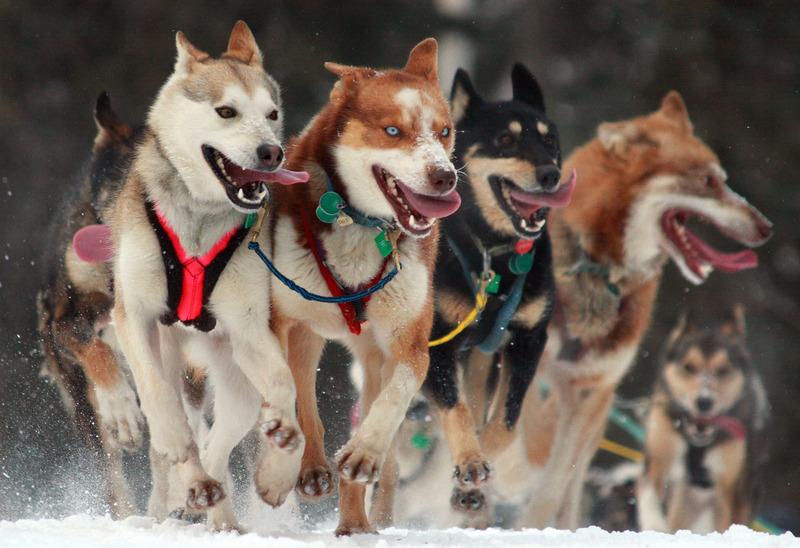 I love watching the famous Iditarod dog sled race that’s taking place this week in Alaska. Okay, yeah, I live in New York City. And yeah, the only dog I’ve ever owned was a Labrador retriever named Stuart who spent his days eating Fritos and sleeping. But (and hold on to your hats) I have experience as a musher. It was there that I spent ten of the coldest days of my life learning to run a dog sled team. But this was not your average team of cute huskies you see at the pet shop. The Outward Bound camp had adopted a group of specially bred huskies from the Mawson research outpost in Antarctica. Unlike their state-side brethren, my dogs, including my two leads, Cardiff and Bear, resembled a cross between a miniature pony and a wooly mammoth. Perhaps the most powerful lesson was about life itself—and how to lead it. Those burly dogs wanted nothing more than to pull that sled. It was an ingrained passion. You’d hitch them up and their eyes would light. Their ears would perk, and they’d be ready to bust out of their harnesses with joy. We all have that place where we, too, come to life—where we feel like we’re doing what we were born to do. Of course, there is the opposite as well—the places in life where our coats and our eyes grow dull. And what a waste it is to spend time there. There’s an old saying that every creature has its rightful place, and in that place, it becomes beautiful. The Psalmist put it another way: “I praise you because I am fearfully and wonderfully made” (Psalm 139:14). Either way, it’s an affirmation of our unique gifts and our innate worth in this life.